Can't stop using colors from this collection. I just love them all. 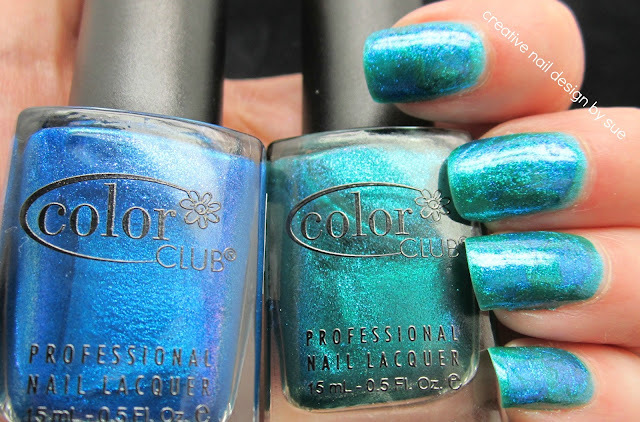 Color Club Take Wing Collection. I bought a few and then went back and bought the rest and never once regretted it. The colors are just so pretty. I did this around the time I was really getting into dry needle marbling so I decided to give it a try with two colors, Metamorphosis and Sky High. Here is what they look like swirled together (the result is subtle but gorgeous). Yay for the sun! 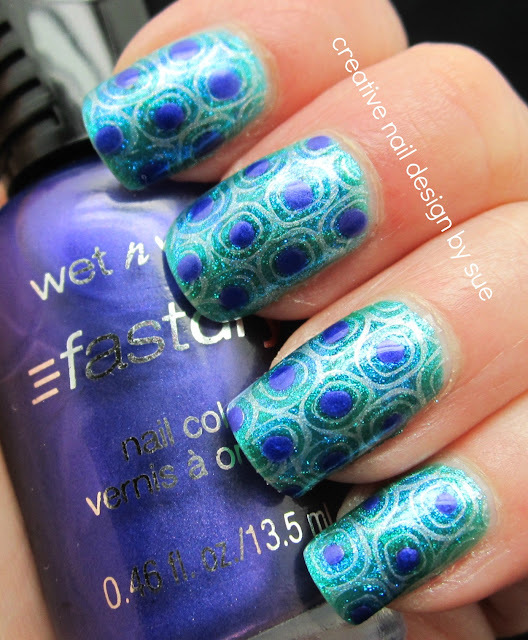 These colors together are pretty, I love needle marbling ^_^ This looks amazing stamped too! I love peacock themes!! Lovely!! Gorgeous. That's such a pretty collection. Google liquid jelly needle marbling tutorial. It will not let me paste it here for some reason. Try it, it's fun. wow...both the colors are gorgeous. gorgeous.... love both the colors!! This is the most gorgeous mani that I have seen this week, I love everything about it...it is PERFECT! I got Metamorphosis in a swap and you make me want to try it on soon. It's sooooo pretty!